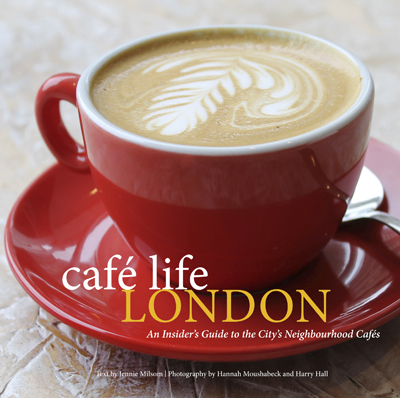 Café Life London is a celebration of London’s flourishing café scene. Whether you live in London or are visiting for the first time, this book will take you on a culinary adventure around 34 independent cafés in popular shopping streets and neighbourhoods. Each story paints a picture of the café and what you can expect to find there, including the food and drink, the people, and the atmosphere. From contemporary cafés that serve excellent coffee to authentic local hangouts off the beaten track, you’ll discover an extraordinary variety of places to visit. Superbly photographed, and filled with many hidden gems, Café Life London is a must-have guide to London’s charming neighbourhoods cafés for Londoners and visitors alike. Jennie Milsom is a London-based food writer. She divides her time between writing and managing With Jam and Bread, her newly-opened London café.